Location: Polignano a Mare, Italy. Disability: Unspecified; possibly mental illness. 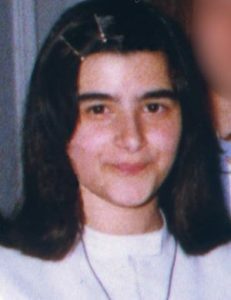 Paola died of starvation at the age of 31, weighing only 30 kilograms. She was found in a filthy, cluttered house, where she had been kept isolated by her parents since she was a teenager. Perpetrator: Her parents, both being investigated for neglect of a disabled person resulting in death. Chi l’ha Visto – Misteri – Perché nessuno è riuscito a salvare Paola, segregata e morta di stenti in casa? Wilma was stabbed to death by her husband in a murder-suicide. Andrea’s father took him out of the institution where he lived; then, when Andrea was asleep, his father strangled him. 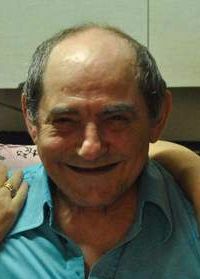 Perpetrator: Pietro Spina (Father), charged with murder. Maddalena’s husband killed her. He told police he had done it because he could no longer cope with her Alzheimer’s disease. Perpetrator: Pierino Corradini (Husband), charged with murder. Luciana’s husband strangled her, then killed himself. Disability: Mobility impaired after stroke. 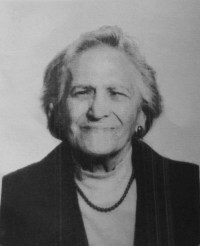 Mirella was murdered by her husband, who stabbed her to death. He also tried to kill her 37-year-old autistic son Davide; Davide survived, though with serious injuries. Mirella’s husband claimed that he had killed them because caring for his wife and son had become “too much” for him. Details: Lia was smothered by her husband. Perpetrator: Angiolo Zanasi (Husband); committed suicide about 6 months later. Mara’s husband shot her in the head. Perpetrator: Vitangelo Bini (Husband), convicted of aggravated murder, sentenced to 6 1/2 years in prison, but will not serve any jail time because of his age.